It has the easy soloing and dungeon finder of WoW, the level syncing of Guildwars 2, the random group events of Rift and the overarching story missions of Star Wars: The Old Republic. These are all merged together with the best-looking graphics of pretty much any MMO ever, all topped off with a heaping dash of Final Fantasy flavour. In fact, the first few hours of the game are fairly rough, as you get sent on perhaps the most banal series of fetch quests across whichever starting city in which you begin. 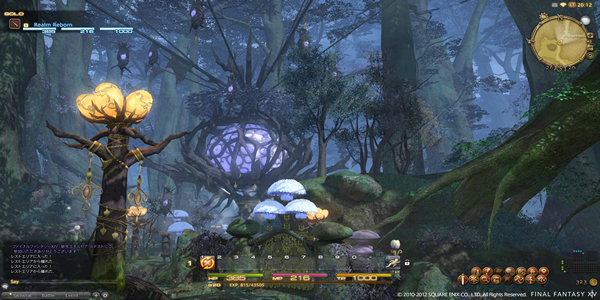 These quests ostensibly exist only to teach new players exactly how this whole MMO thing works — an especially important task given how many PS4 players will be taking on this kind of game for the first time — but they are presented in such a way that said new players might be overwhelmed by the plethora of players surrounding them and the complicated controls. When it comes to grouping, the game makes it pretty easy to jump into pre-made parties with other players to encounter dungeons and bosses. Though the vast majority of main questing is comfortably done solo, there are several points along the main storyline where you need to beat a group dungeon or boss to continue, and the game will wait for you until you group up and do it.